Lauren Cooke from ZSL’s education team introduces the department’s collection of creatures, outlining how animals can be hugely beneficial at bringing learning to life. They say it can be tricky working with children or animals – but here in ZSL’s Education department we love doing both! We have a whole host of critters in our team, spanning both ZSL London & ZSL Whipsnade Zoos, all of whom help to bring our interactive education sessions to life. Our brown rats are a fairly new addition to the team, having joined us as youngsters in the summer (four at London and four at Whipsnade). They’ve settled in brilliantly to their new homes and these days we’re seeing some clear individual characters emerging. Each of the two packs definitely has a rat in charge (looking at you Cabbage and Darwin), whilst Attie (named after Sir David Attenborough) is making a name for herself as the slightly bolder and more energetic of the Whipsnade lot! So why are we bringing these animals into our Education sessions? These wonderful animals offer a real-world illustration of the topics we cover in our sessions, from rat adaptations to a reptile’s scales, whilst also giving students the chance to get up close to an animal they may have never seen before, making it a truly memorable day. They also offer a great opportunity for visiting SEND groups to feel something they may never have felt before, such as a cockroach’s hard exoskeleton, or the smooth, dry scales of one of our pythons. We find that showing students these animals also helps to change perceptions of some commonly misunderstood species. Snakes and rats are often at the top of the list of species that people most fear, but we find that once people have learnt a little more about them and seen how incredible they are up close, they’ll soon change their minds. The amount of initially-apprehensive students who have told me how great Charlie the cockroach is at the end of a session is a testament to this! Our animals don’t usually live in our classrooms, as we keep them in appropriate enclosures in our education building or off-show. To transport them to and from their enclosures, we have carry-cases appropriate for each species – such as insulated boxes for the snakes or tanks for the invertebrates. In the case of our rats, we’ve even trained them to enter their carry-case themselves when we give them the cue (an egg shaker usually does the trick!). We never forget to bring along positive reinforcement though – rats will do almost anything for a sunflower seed! For an animal to be introduced to students they not only need to be an appropriate species, but we also need to be sure that the individuals will be calm and comfortable in a session-situation. Before we start using any animals we’ll work with them individually to get them used to being held and being around large-ish groups. In many cases preparing them involves some training. For example, before we started using brown rat Fossey (named after the American primatologist and conservationist, Dian Fossey), we had to train her to sit comfortably on our hands. This position makes it much easier for us to present her in a session and for those students brave enough to stroke her soft fur. To do this, we ensured that she gets her pellet (a special diet with all their necessary nutrients) only when she is sat in a safe, secure position in our palm. Patience has been key to this training! As is to be expected, the welfare of our animals is paramount, and this means that the behaviour of the class is just as important as the behaviour of our rats. The top priority when bringing a live animal into the room is to set behavioural expectations and ensure that noise levels will be kept to a minimum whilst the animal is present. This results in an encounter that is positive for everyone! Could you do the same back at school? We find our animals can be used to link directly with the National Curriculum, as they can give students a real example of the basic needs of animals, life cycles, adaptations, nutrition and so much more, whilst enhancing the learning outcomes. If you have a class pet you could easily incorporate them into these topics. If you would like to get some extra inspiration on how to include them in this way, book into one of our education sessions – though be sure to mention to our booking team your desire for a session featuring one of our education animals. 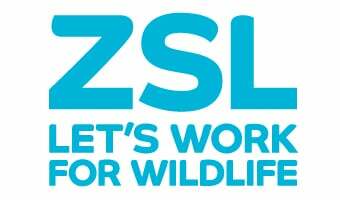 To book a session at either ZSL London or ZSL Whipsnade Zoo, please call our helpful Supporter Services Team on 0344 967 0831. And if you don’t have a class pet – no fear! Look out for our next blog which will include tips on how you can incorporate observations of your native wildlife into lessons to bring learning to life.